The archaeological record of post humanity is being revealed, and then destroyed by melting glacial patches in Scandinavia, the Alps and North America. This has led to the creation of a subdiscipline of archaeology called “Glacial Archaeology.” Glacial archaeology is the study of the relationship between variability in climate and the intensity of human use of alpine landscapes. 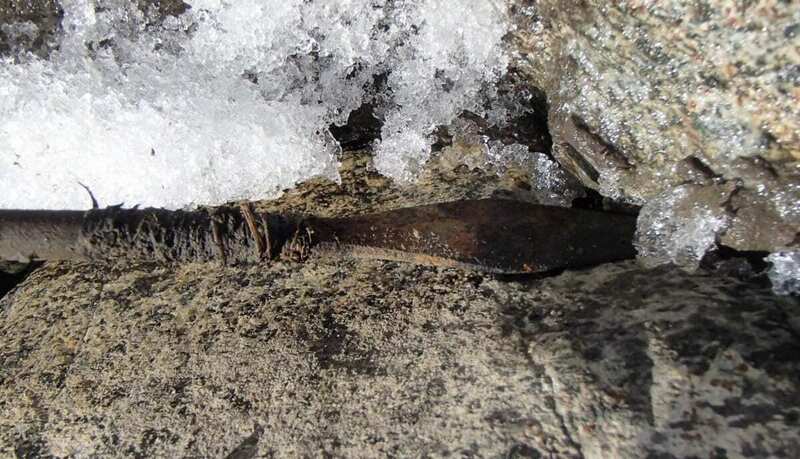 Investigations of Jotunheimen and Oppland, which include Norway’s highest mountains (to 2649m), have been surveyed by an international team of glacial archaeologists to study the effects of contracting ice. Their study has revealed over 2000 artefacts dating from as early as 4000BCE, including Iron Age and Bronze Age clothing, skis, packhorses and even arrows. A statistical analysis of the finds has revealed that various periods in history have scattered spatial finds, whilst some periods have been virtually void. Dr James H. Barrett, an environmental archaeologist at the McDonald Institute for Archaeological Research at the University of Cambridge and senior author of the paper commented, “One such pattern which really surprised us was the possible increase in activity in the period known as the Late Antique Little Ice Age (c. 536 – 660 AD).